Intense droughts and the rising cost of water is changing the way we wash our vehicles. Purists might insist on the old-fashioned hose and suds, but waterless wash products appeal to eco-conscious folks who still want their cars to look sharp. Environmental contaminants damage paint. Bugs are particularly troublesome--their sticky film clings to painted surfaces. Dust settles on the exterior, seats and the dashboard, courses through vents and nestles in the fibers of the carpet. A variety of automotive brushes keep your vehicle looking presentable inside and out. Dvorak recommends brushes with a longer handle for fenders to keep your hands free of grime. Soft, scratch-free bristles should be used for delicate areas like rims and the paint. Remove dust from the exterior. Use a clean, dry microfiber or terrycloth towel cloth. Or swipe the exterior with duster intended for vehicles. Keep a bottle of waterless wash and wax or instant detailer in your trunk. The products quickly and easily remove sap, bug entrails, dust and bird droppings. Keep your reservoir of windshield wiper fluid full of a cleaner designed for bugs and road film. The cleaners are more efficient than water alone and contain enzymes that feast on viscous residue. 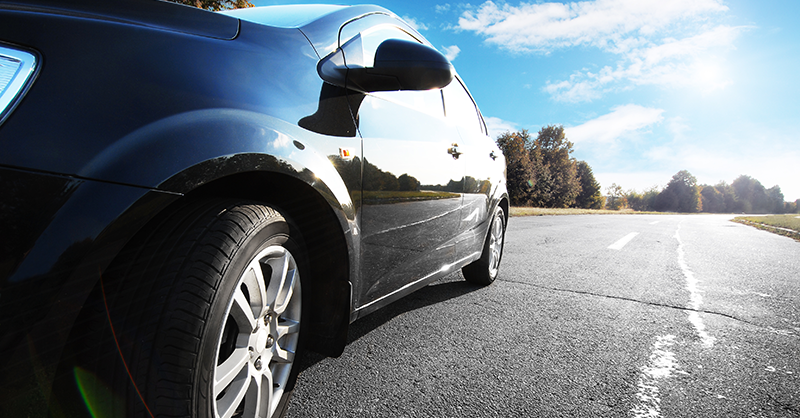 Routinely clean your vehicle--even during road trips. Routine cleaning keeps the cabin healthy for your passengers and the exterior free of contaminants. Carry handi-wipes specifically designed for automotive use. Look for wipes that treat leather, glass, vinyl and painted surfaces.